Drs. Kevin Vincent, Jason Zaremski, Daniel Herman and Heather Vincent appeared in multiple venues at the American Academy of Physical Medicine and Rehabilitation (AAPMR) “Success Through Innovation” meeting in Orlando, Florida October 25-28, 2018. Dr. Dan Herman presented “Corticosteroid Injections in Osteoarthritis: The Good, The Bad, and The Ugly”. 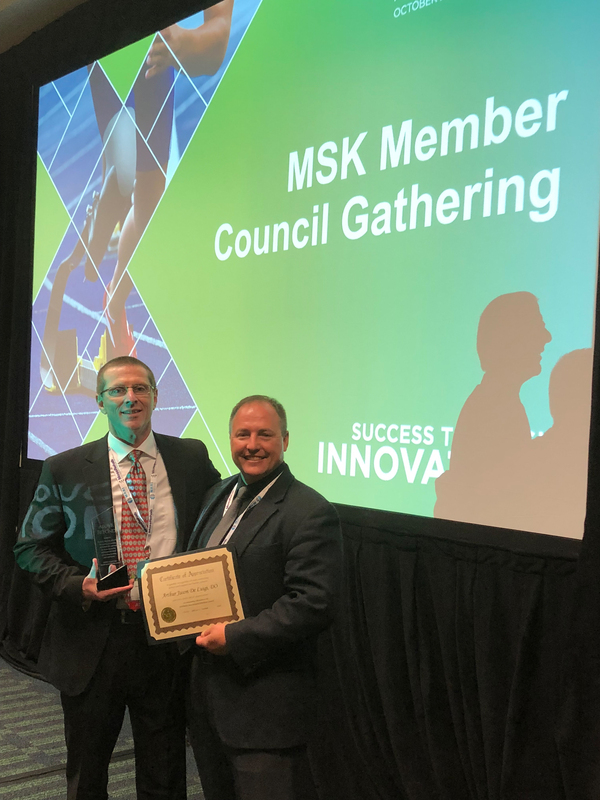 Dr. K Vincent was honored for his Chairing and leadership service on the Musculoskeletal Council. 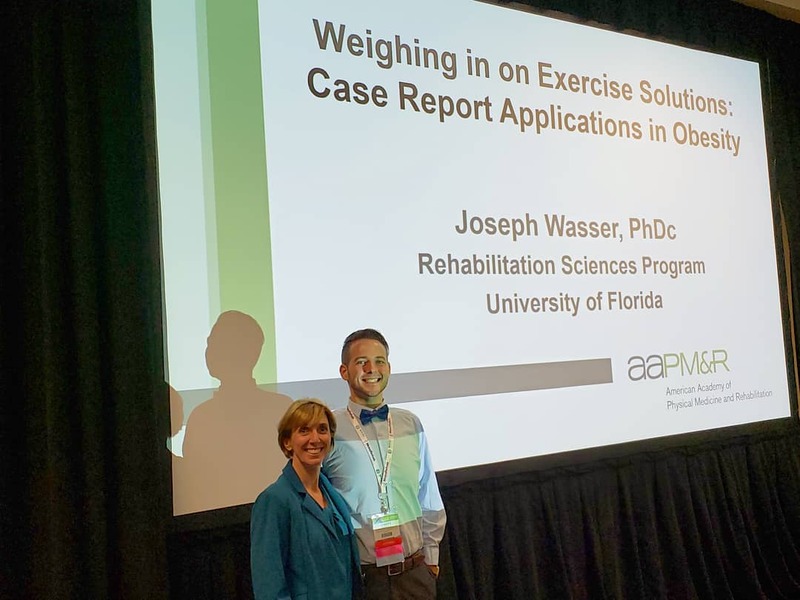 Dr. H Vincent directed and moderated a two-part symposium, “Exercise Benefits for Chronic Low Back Pain in Obese Individuals” with her PhD student, Joseph Wasser. Recent History of Lower Extremity Injury and Kinetic Characteristics of Overweight and Obese Runners (authors HK Vincent, C Chen, M Bruner, J Wasser and KR Vincent). This abstract was selected as a President’s Citation Award finalist for the Assembly. Joseph Wasser also presented his poster: Unanticipated Pain Relief Effect with Progressive Resistance Exercise in Patients with Knee OA and Comorbid Low Back Pain (authors J Wasser, HK Vincent, KR Vincent). Dr. H Vincent also moderated several research sessions including top papers in Musculoskeletal and Pain, Quality Improvement and Resident Research and Dr. Zaremski also Chaired the national Medical Student Program-Lectures and Resident Panel.